We’d love your help. Let us know what’s wrong with this preview of The Devil Take You by H.K. Carlton. 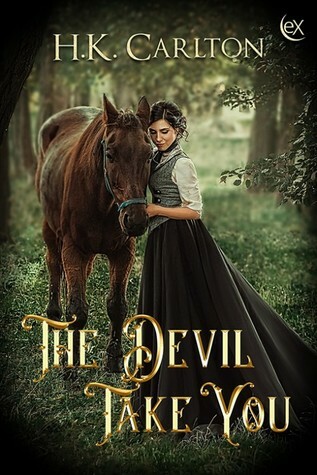 Known in the Highlands as the legendary devil, Gard Marschand, raids his way across Scotland and England amassing po Braelynn Galbraith wants peace for her beloved Scotland, marriage to her childhood sweetheart, and a house full of children. In that order. But evil incarnate in the form of Gard Marschand, turns her life inside out and destroys all hope of a decent marriage. To ask other readers questions about The Devil Take You, please sign up. H K Carlton is a multi-published Canadian author of romance and it’s varied sub-genres. Including contemporary, paranormal, historical, family saga and erotica.